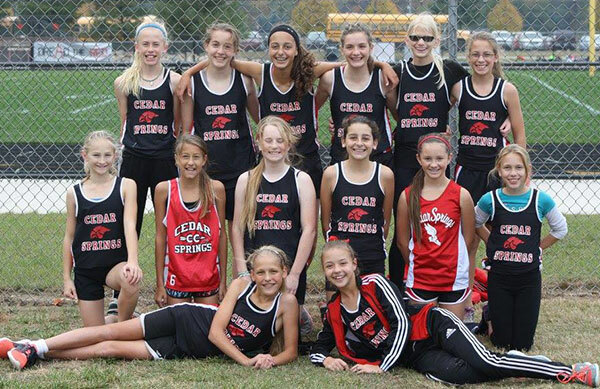 Cedar Springs Middle School Girls cross country team took first at conference. 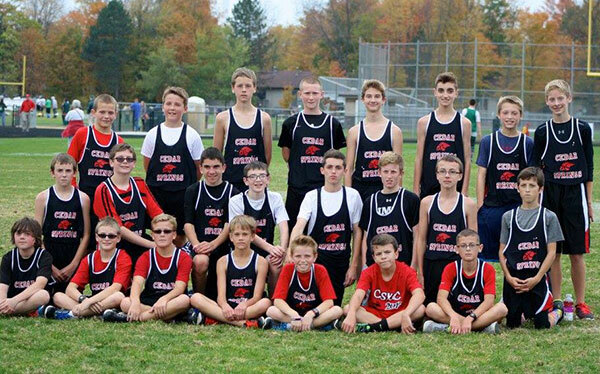 Cedar Springs Middle School Boys cross country team took first at conference. The middle school boys and girls cross country teams traveled to Allendale on October 20 to compete in their conference meet. After an amazing season for both teams, they were ready to fight for the conference title. With hard work and determination, they were both able to come home with conference titles to show for it. Nine boys and eight girls earned medals by placing in the top 20, while all the team ran their personal best time. Congratulations to both teams on a great season!